Video analytics are transforming many aspects of retail. Much emphasis is placed on their ability to improve marketing, but an equally important trait of video analytics is their usefulness in loss prevention. Using various analytic techniques that utilize accumulated data, learned information, and real-time monitoring, video analytics and video surveillance can be extremely helpful in loss prevention efforts in retail stores. Heat mapping is used by gathering data over time from surveillance cameras on which areas of the store have a lot of foot traffic, and which don’t. This information is used to retool layouts to maximize their efficiency, but it can also be used for loss prevention. Cool areas of the store are areas that could use more physical security presence, as thieves are more likely to be able to avoid detection there. Hot areas could present easy targets for flash mobs, which may mean that these areas should be setup for a more spaced-out traffic pattern. Dwell time is another very useful loss prevention technique. Cameras can be programmed to set off an alert if a person stays in one area for longer than a predetermined time, suggesting they may be attempting a theft or planning for a future attempt. Security can then send over a physical presence so that the person knows they are under surveillance. Counting the number of people that enter a retail store is a great way to determine when staff will be needed and how many will be needed to accommodate all customers. It can also be useful for comparison against data such as returns to determine when fraudulent returns are more likely to occur. Customers looking to make a fraudulent return may come in at slow times when staff may be too preoccupied with tasks such as preparing for close to give close scrutiny to receipts. The preface to this type of analytics is that it may or may not be viable depending on your state’s privacy laws. 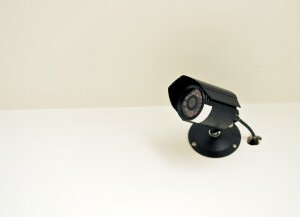 By using high megapixel cameras with precise image definition, facial recognition software can determine if known thieves are on the premises, or if staff members are lingering in areas where they should not be. This entry was posted on Thursday, June 5th, 2014 at 4:42 pm. Both comments and pings are currently closed.